Welcome to the Action Paving Company's information page. 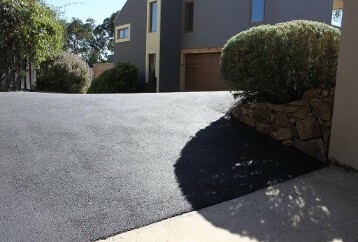 We are the premier provider of asphalt paving and sealcoating. Our goal is to provide the very best in customer service and quality work. Because our quality control standards are high, our equipment and staff are among the best in the business. Our goal is to always deliver quality service at reasonable prices. We want you, our valued customer, to be happy. Here is a list of our services. In order to construct a quality asphalt surface to suit your needs Action Paving Company will first need to meet with you and determine the correct pavement plan. This plan will be determined by an inspection of the site, your needs and your budget. Factors we need to consider are vehicle weights, traffic flow, existing landscape, drainage, and usage, etc. Just as the name indicates, this process usually involves constructing an entirely new asphalt surface. First we must excavate/clear or clean the site to the proper grade and inspect the subgrade for stability. Next a stone base will be installed to the required base thickness. Then we will grade and compact this base and verify elevations as needed to ensure drainage of the site. Finally, the appropriate asphalt mix is installed and compacted to meet the customer’s needs. When all the asphalt paving is complete all necessary signage and line striping will be done to meet proper standards (when required). When asphalt has not been properly maintained or has just exceeded its life expectancy the old asphalt may need to be removed and replaced. This process usually involves complete removal of the old asphalt surface. Followed by an inspection of the existing base, additional steps may be needed to prepare the base. Conditions which may not be discovered until the old asphalt is removed are mud, shallow utilities, excessive moisture or an incorrectly installed subgrade. Our inspection will determine the most effective method to correct these conditions. Once things have been corrected the stone base is installed, graded and compacted. The new asphalt can then be installed and compacted with the correct rollers to finish the process. 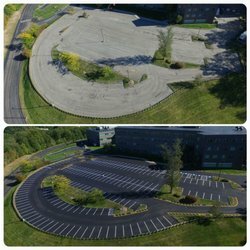 When asphalt has begun to show signs of surface deterioration and the base is still intact an asphalt overlay is an extremely effective solution. 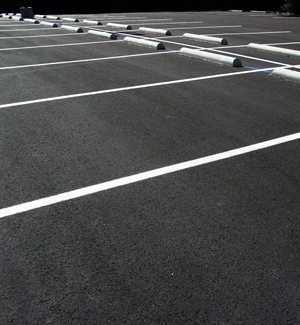 The type of asphalt and customer needs must be evaluated before an overlay can be installed. 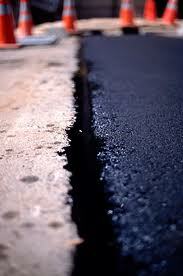 Remove and Replace - This is the method of choice when the base of the asphalt has been damaged. The area is sawcut at the edge of the deteriorated area, the asphalt and stone are removed and the base is inspected. New stone is installed as needed and compacted thoroughly to stabilized the base. Hot mix asphalt is then added to the proper thickness and rolled to match the surround elevations. Mill and Replace – Deteriorating asphalt is milled to a specific depth and removed from site. The area is cleaned of all loose debris and a layer of tack (glue) is applied for proper adhesion of new asphalt. New hot mix asphalt is then added to the proper thickness and rolled to match the surround elevations. Asphalt Skin Patching – This option is only recommended when the existing asphalt base is in good shape or the property owner is looking for an inexpensive quick fix. The first thing we need to do is remove any loose debris from the area and apply a layer of tack (glue). 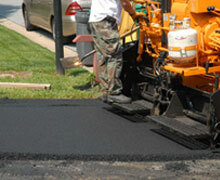 Asphalt is then added to the desired thickness and compacted by hand or mechanically depending on the application. Because skin patches are just added to the top of existing asphalt they sometimes appear a little raised and rougher then existing asphalt. Sealcoating is a vital element of pavement maintenance. 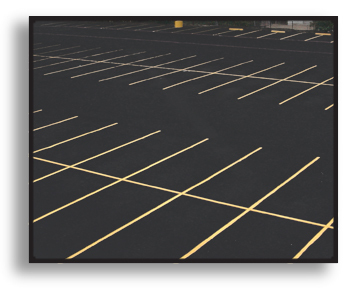 Asphalt sealer is applied over existing asphalt surfaces to protect the surface from daily destructive forces. Will increase the life of existing asphalt and save money by reducing pavement repair costs. Crackfilling is one of the best ways to reduce pavement deterioration. Properly filled cracks prevent water from entering the stone base under asphalt. Once this water enters the base it weakens everything and only gets worse when it freezes. As things expand and contract in winter large voids are created and eventually lead to potholes. 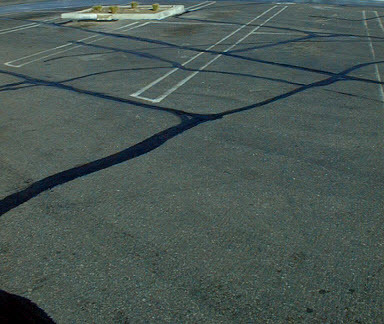 When cracks are filled correctly they can dramatically extend the life of asphalt. Asphalt pavement breaks down overtime and is less able to tolerate stress. This causes tension in the pavement and results in spider web or alligator cracking. This cracking can be caused by structural weakening, aging, and oxidation. It is generally recommended that these excessively cracked areas be removed and replaced rather than filled or sealed.